Halloween 2018 arrives in cinemas on Friday 19th October 2018 and Fright-Rags are celebrating with the launch of the official merchandise range. The horror merchandise company have released 7 t-shirts and 4 enamel pins giving fans of the franchise plenty of choice. The t-shirts feature new designs as well as official artwork for the movie. Select designs are available on zip-up hoodies, baseball tees, and women’s shirts. 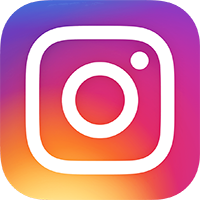 There are four enamel pins, including a closet door that opens to reveal The Shape behind it. Halloween 2018 is a direct sequel to the original 1978 film. Jamie Lee Curtis reprises her iconic role as Laurie Strode in the film, which is directed by David Gordon Green. You can find out what we thought of Halloween 2018 by reading our review. 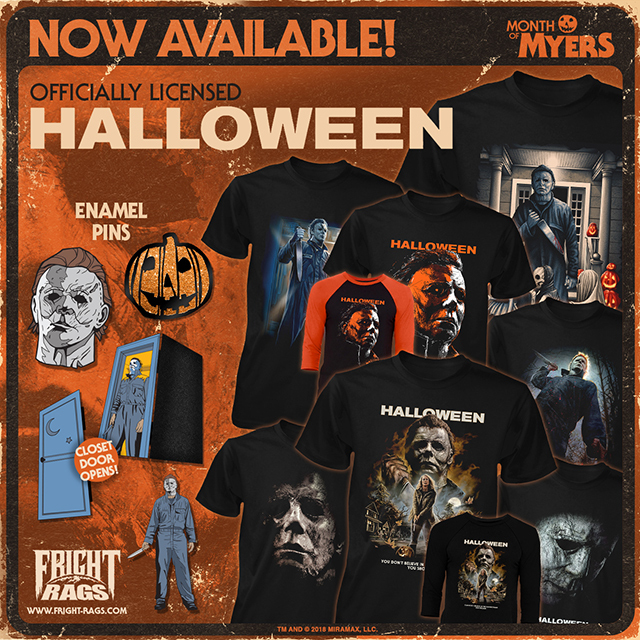 The Halloween line kicks off Fright-Rags’ Month of Myers, which will include apparel from Halloween 1978, Halloween II and Halloween III (available 17th October), and Halloween IV, Halloween V, and Halloween VI (available 24th October). The range can be ordered online now at Fright-Rags.com.